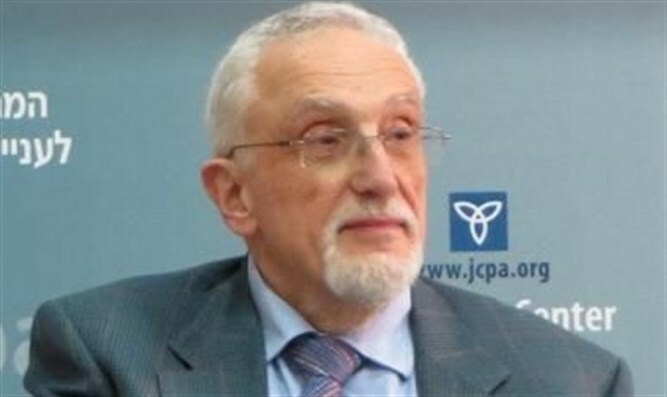 Shocking interview with Shimon Samuels of the Wiesenthal Cener: "Even if boycotts are reversed by ‘Zionist pressure,’ their real goal is the publicity engendered." The Palestinian cause has gradually taken over the agenda of the World Social Forum (WSF). Currently it is almost the WSF’s sole subject. Its meeting in November 2013 was entitled, ‘WSF Free Palestine.’ There were 127 seminars and workshops on how to cause damage to Israel. “The WSF was created one month after the Durban ‘anti-racism’ conference in 2001 by the Brazilian Labor Party, then in opposition. Most of its annual meetings were in Porto Alegre, Brazil and meant to deal with the social problems of globalization as a response to the annual World Economic Forum in Davos. Dr. Shimon Samuels is Director for International Relations of the Simon Wiesenthal Center and is based in Paris. He is a member of the European Jewish Parliament and Chair of the Journal for the Study of Anti-Semitism. “From the WSF, regional forums such as the North American, Latin American and Asian Forum emerged. The most poisonously anti-Israel is the European Social Forum (ESF). Its first gathering took place in Florence, Italy in 2002. This forum has a more operational role than the WSF. The third ESF took place in London in 2004, consisting of 500 seminars with 2,500 speakers. Much of its funding was provided by the London Municipality, whose mayor at the time was leftist Ken Livingstone. This Forum largely focused on hate-mongering against Israel. Attacks became even more aggressive in the next ESF in Athens in 2006. Much attention there was given to the Boycott, Disinvestment and Sanctions (BDS) campaign. “At the Athens ESF, a handbook describing how to promote BDS was distributed, illustrating how individuals, civil society and businesses can support the refusal to buy or sell Israeli products. The book explained that the main aim of these actions is to create a critical mass in public opinion so that governments will eventually follow its lead. The book also recommended ‘smart boycotts’ such as academic targets. Proponents claimed that even if boycotts are reversed by ‘Zionist pressure,’ their real goal is the publicity engendered. “The handbook also proposed withdrawal of investments from companies directly or indirectly involved with Israel. Emphasis was laid on divestment by churches. It stressed that the measure of success is not the amount of money withdrawn, but the repercussion on the public’s concepts and attitudes. Instructions were also offered on advancing sanctions such as governmental restrictions on travel, communication, trade, finance and arms sales. “In Athens, possible grass root provocations were suggested. One could for instance fill supermarket carts with Israeli products, crash through the registers and burn the produce in the street. Other ideas proposed were a European-Palestine caravan to promote BDS and visits to Palestinian refugee camps. Among WSF ideas: One could...fill supermarket carts with Israeli products, crash through the registers and burn the produce in the street. “At the Athens ESF, I first met representatives from Golden Dawn, the Greek neo-Nazi group. It was then still a small faction. They were appealing for an alliance with the left and Islam against the common Zionist enemy, handing out their magazine devoted to the glorious era of Hitler pictured with the late Mufti of Jerusalem. Today, Golden Dawn is an openly neo-Nazi party holding 18 seats out of 300 in the Greek Parliament. “In 2008, the ESF took place close to the sixtieth anniversary of Israel’s independence in Malmø, Sweden. It planned an international network of demonstrations against the Jewish state throughout the whole year. There was also a call for solidarity with terrorist movements such as the Palestinian PFLP, the Kurdish PKK, the Colombian FARC and the Basque ETA. "In the years thereafter, the ESF has had to respond to the European crisis, austerity issues and their consequences, such as the rise of the extreme right. The Middle East subsequently became less important. “The Official Reference Document of the Palestine National Committee and the WSF promotes 16 issues on the Palestinian-Israeli conflict. They include dismantling of the ‘apartheid wall,’ ending of the ‘apartheid regime,’ the right of return of Palestinian refugees from both 1948 and 1967, the advancement of a military embargo on Israel, the development of BDS campaigns and strategies, the promotion of academic and cultural boycotts, the intensifying of the struggle to lift the siege on Gaza, support for the release of Palestinian prisoners, as well as to bring Israel before the International Court of Justice. Samuels concludes: “I have attended many Social Forum meetings. There one learns about activities being planned for the future. At a meeting in Istanbul in 2010 I first heard about the anti-Israel flotillas in preparation.